In a major fallout of last Sunday’s twin-car bomb attack on Saint Andrew's Military Protestant Church located at the Armed Forces Command and Staff College, Jaji, the Commandant of the college, Air Vice Marshal Ibrahim Kure, has been relieved of of his position. Also dropped is the Commander, Nigerian Army Corps of Infantry, also in Jaji, Major General Mohammed Isa. The Defence Headquarters in a statement Saturday named Major General K.C. Osuji as the new Commander of the Nigerian Army Infantry Corps and Air Vice Marshal E.E. Osim as the new Commandant of the Command and Staff College. Before their new positions, Osuji was the Commandant, Nigerian Army School of Infantry, Jaji, while Osim was the Chief of Aircraft Engineering at Nigerian Air Force headquarters. Chief of Army Staff, Lt. General Azubuike Ihejirika, and the Chief of Defence Staff, Admiral O.S. Ibrahim, had in the aftermath of the attack at the Jaji Military Cantonment promised hash consequences for all those whose acts of negligence had facilitated the unpleasant incident. 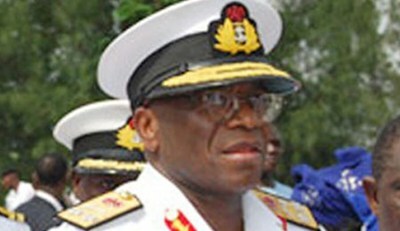 At least 17 people died in the attack, which Ihejirika described as avoidable. The Chief of Army Staff had said that there would be adjustments after the board of inquiry concluded investigations into the bombing. The statement read, “Following the Board of Enquiry raised by the Defence Headquarters to unravel the circumstances that led to the bomb explosion which rocked St Andrew’s Protestant Church at the Jaji Military Cantonment in Kaduna State last week, the Chief of Defence Staff, Admiral O.S. Ibrahim has directed the Services Headquarters to replace with immediate effect the Commandant, Armed Forces Command and Staff College (AFCSC), Jaji, Air Vice Marshal I.A. Kure, and the Corps Commander, Infantry, also located in Jaji, Major General M.D. Isa. The statement added that the replaced Generals, Kure and Isa, will be redeployed by their respective services. Kure assumed duty as Commandant of the Command and Staff College on November 6, three weeks before his removal, following the retirement of his predecessor, Air Vice Marshal Tijani Muazu. fantastic put up, very informative. I ponder why the opposite specialists of this sector do not understand this. Hi, everything is going perfectly here and ofcourse every one is sharing data, that's really excellent, keep up writing. Then brush both sides and the belly and legs. Wooden fence posts perform well, just keep in mind that they're heavy. Consultant et expert en communication visuelle, je réponds à vos besoins en matière de création graphique, conception web et formation aux nouveaux usages numériques.